VTOL aviation isn’t anything especially new to the military. It has a number of benefits and advantages to its name that conventional rotorcraft don’t. In recent years, we’ve seen the acquisition of the Bell Boeing V-22 Osprey, the world’s first production tiltrotor aircraft, a problem-plagued innovation that has over seven hull-losses in the record books and a terrifying total of thirty six fatalities, thirty of which occurred within a nine-year period. Touting major improvements, the DoD finally brought the Osprey into service in 2007, eighteen years after it first flew. But it still faces a number of smaller problems which remain unresolved until the engineers at Boeing can come up with appropriate lasting solutions. Ever since, it seems, there’s been a hunt to replace the Osprey down the road in about 25 years or so with the next generation of rotary aircraft with a focus on tiltrotors more so than conventional helicopters. In fact, it won’t be just the Osprey (in service with the USAF and USMC), but also the Army’s current workhorse, the UH-60 Blackhawk from Sikorsky. A 3D rendering of Karem’s OSTR. Karem Aircraft rendering. Recently, the Army granted investment contracts to four companies in pursuit of being the next big defence firm to provide prototypes and designs for its next mainstay. Bell, Sikorsky, AVX Aircraft and Karem Aircraft. 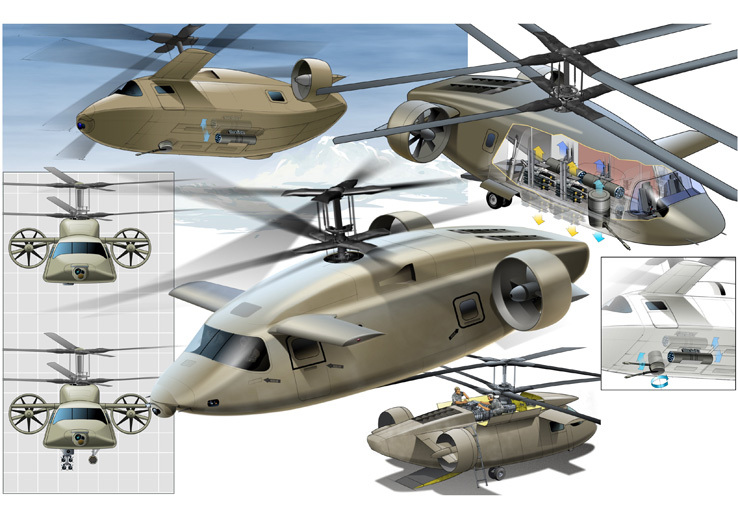 Bell and Sikorsky have come up with concepts that seem to deviate a little from the norm without getting too outlandish. But AVX and Karem (relative newcomers to the defence contracting game) have proposed a few unique ideas, departing from the standard and moving into progressive territory. 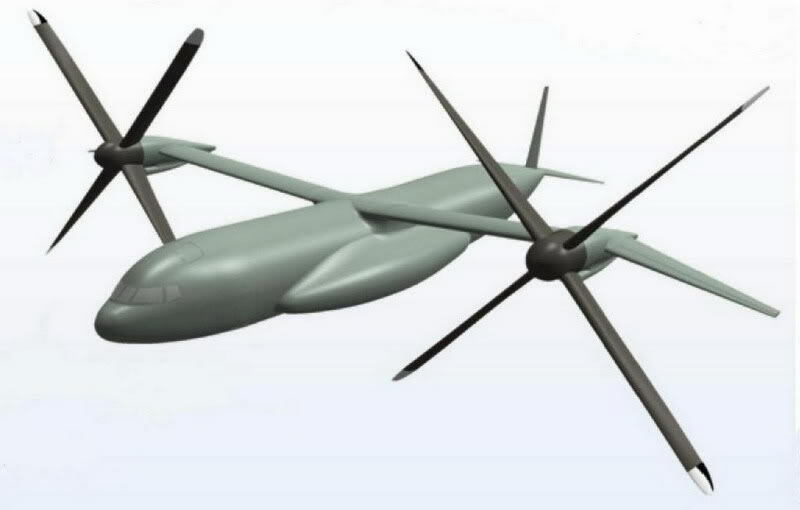 Focusing briefly on Karem’s entry, the TR36TD Optimum Speed Tiltrotor, it looks pretty similar to an Osprey, but it lacks the same type of tailplane. In fact, it looks somewhat like a cross between a smaller, scaled-down C-17 Globemaster III and an Osprey, if the C-17’s fuselage was outfitted with the V-22’s wings and rotor assemblies. It’s larger (supposedly nearly the size of a C-130), meaning it has a bigger payload capacity but it won’t be able to operate in smaller, closed environments that its older cousins (i.e. the UH-60 and even the V-22); the trade-off is versatility. I’m certainly not denigrating or poking fun at it, but it seems that the future of rotary military aviation is travelling in a new, somewhat alien direction. Big changes are a-comin’ and I, for one, am pretty excited to see where that takes us. AVX’s attack variant (the helo that’ll eventually replace the AH-64 Apache down the road). Picture courtesy of AVX Aircraft Company.